I really want to try this but we’ve got some picky eaters in the house that don’t like onions or mushrooms. Do you have any recommendations for substitutions for the French Onion Soup? Do the steaks need to be thawed out first or can I put them in still frozen? I made this today and it was delicious. I added two cans of water instead of just half a cup and didn’t add the cornstarch like the recipe calls for. The gravy still came out perfect. The extra water made it perfect, and it wasn’t salty tasting. I added egg noodles right to the pot after the meat was cooked and they cooked in under 10 minutes. The meat was so tender it was falling apart. My daughter loved it so much, she asked if she could eat it for breakfast LOL! Looks really good. Going to try this on HIGH for 1 hour and low for 4 and half to 5 hours to shave some time off since I am cooking it so late and I am not trying to stay up until 4am. I need it done for tomorrow’s dinner and I am going to keep warm while I sleep. I wont be up till later in the day tomorrow and it needs to be done at a certain time which is why I am doing it the night before. My schedule is crazy! I know how important it is to cook on low so I will do most time on low… Thank you looks and smells great! 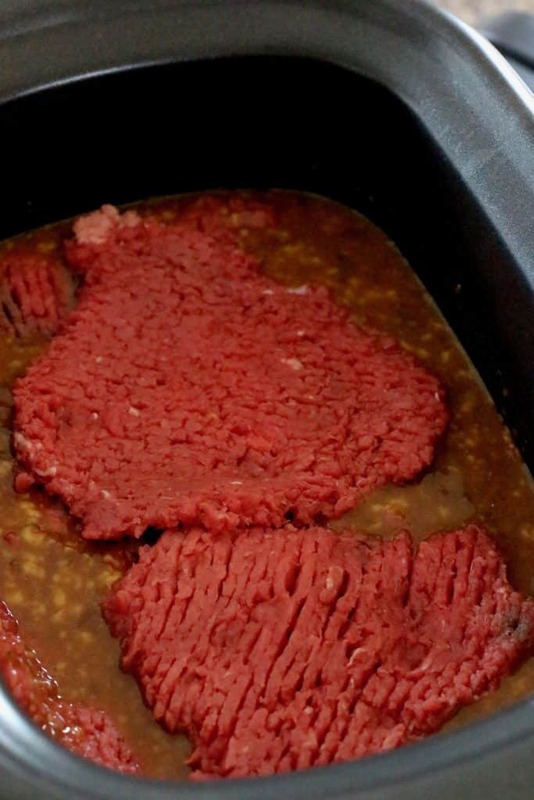 Never had cubed beef before!! I totally get that Amber!! This is a good one because it is totally fine hanging out for a while! This is a very good recipe. I substituted pork cutlets at a much better price. I floured and browned each cutlet. I put a layer of the soup mixture and a layer of pork cutlets until finished. I also doubled the recipe. 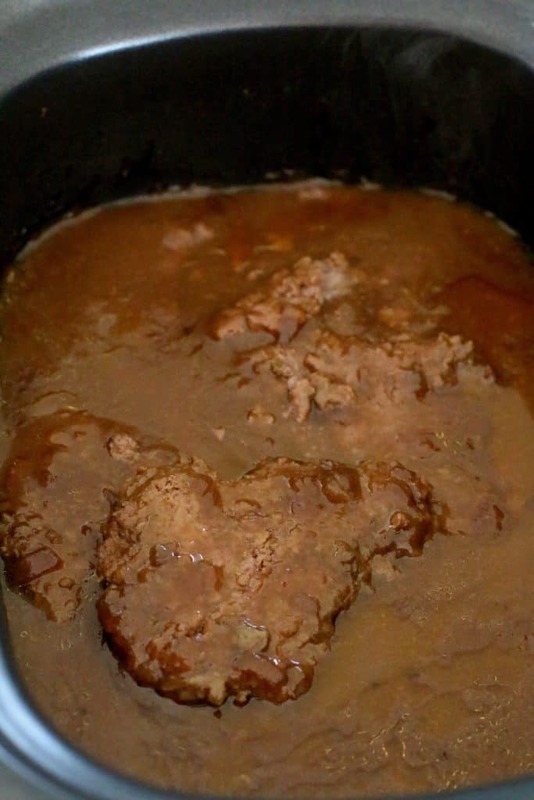 I set the crockpot on low for 7 hours. 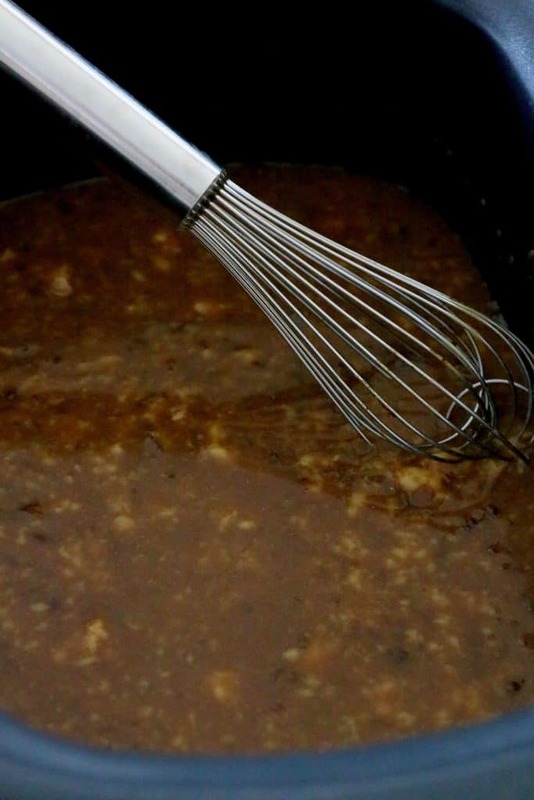 I did not have to make the slurry to thicken the gravy as the flour batter took care of that. I know I cooked it but my goodness!!!! This was DELICIOUS!!!!! Keeping this recipe!!! Kinda messy browning the cutlets but it was definitely worth the time, trouble, and mess to take this step. Once that is done it cooks itself! Make some creamed potatoes, a vegetable, and some rolls and you have an awesome dinner! We carrried a plate to my father-in-law for dinner. He called back as said it was wonderful. He’s never made such a complement!!!!! 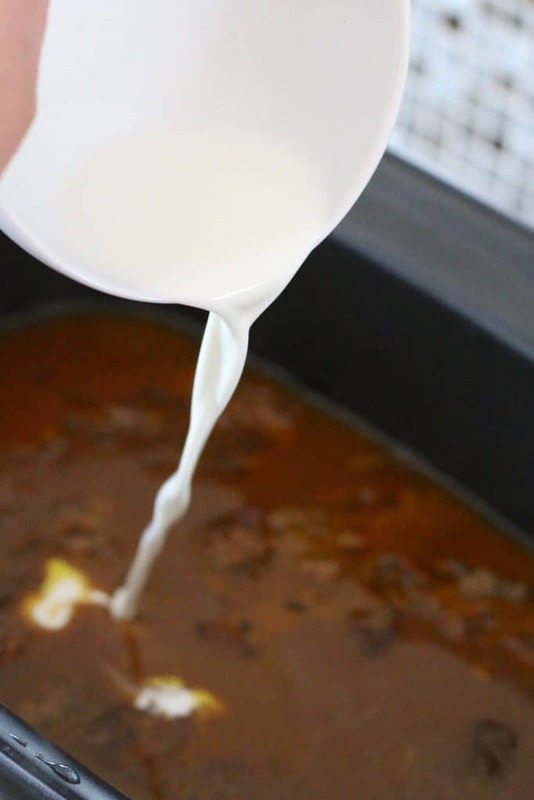 We have made this recipe a couple times already and it is so satisfying on a cold night! Stick to your bones good! We have a family and both work full time so it’s so nice that it is so simple too. Appreciate you sharing! The gravey was amazing. . I just boiled potatoes and covered them with the sauce. I wasn’t to crazy with the meat choice. Think I will try pot roast next time. Love the crock pot method. Thank you it was very tasty ???? My husband is lactose intolerant and cannot have Cream of Chicken soup. Any suggestions on substitute? I was thinking Golden Mushroom soup? Hi there! Making this tonight and I’m on Weight Watchers! 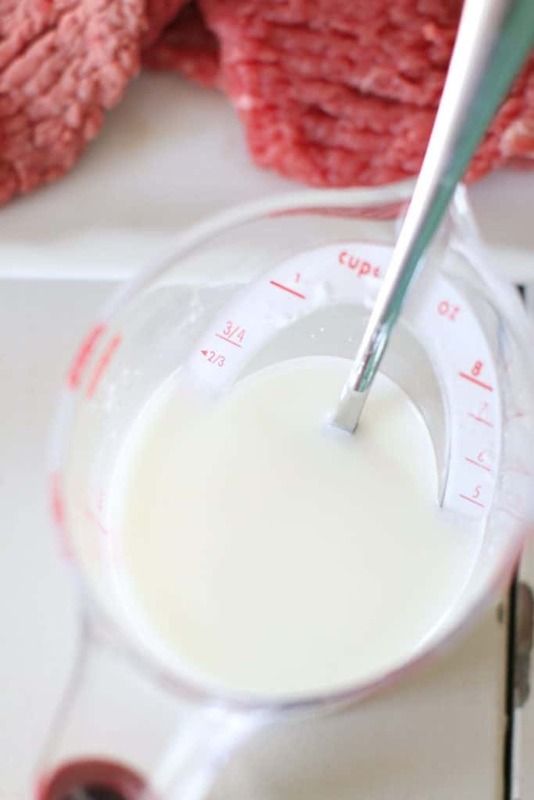 Do you know the sugar content and how many servings are in this recipe? Thank you so much! Just got up from the table after trying this recipe. I’m ready to go back for more! Seriously, make this and you will not be disappointed! I browned the steaks first in a little olive oil because I can’t bring myself to put unbrowned meat in the crock pot. Since the pan was so hot and ready I browned some mushrooms and onions to go into the pot as well. I also added an extra 1/2 cup of water and halfway through the cooking time, 1/2 cup of beef broth because things were looking a bit thick. Needless to say, the gravy needed no thickening and came out just great. 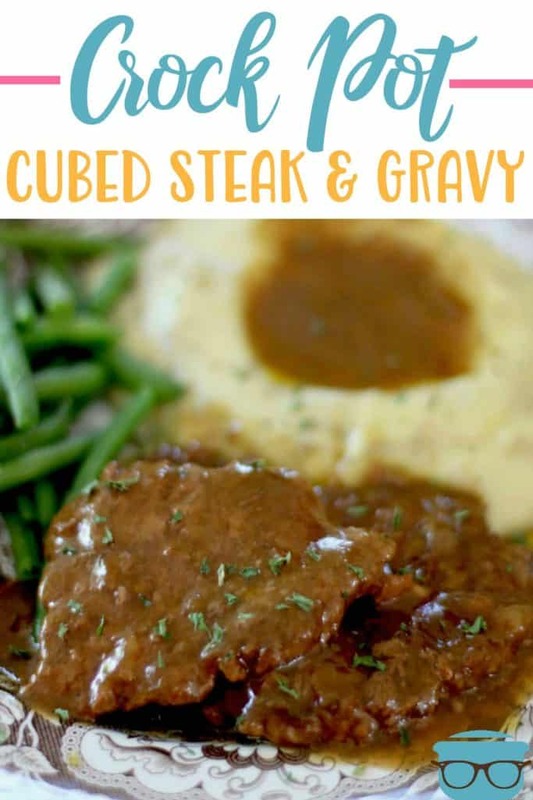 This is cube steak Nirvana. Or Valhalla. Or Heaven. Just bliss! I used cream of mushroom with roasted garlic instead of cream of chicken. It was delicious. Can I use something else besides packet of Au jus? I have been to every store in town multiple times and they never have Au jus. I can’t call this recipe good or overnight excellent. Frankly, it tasted like a frozen dinner. 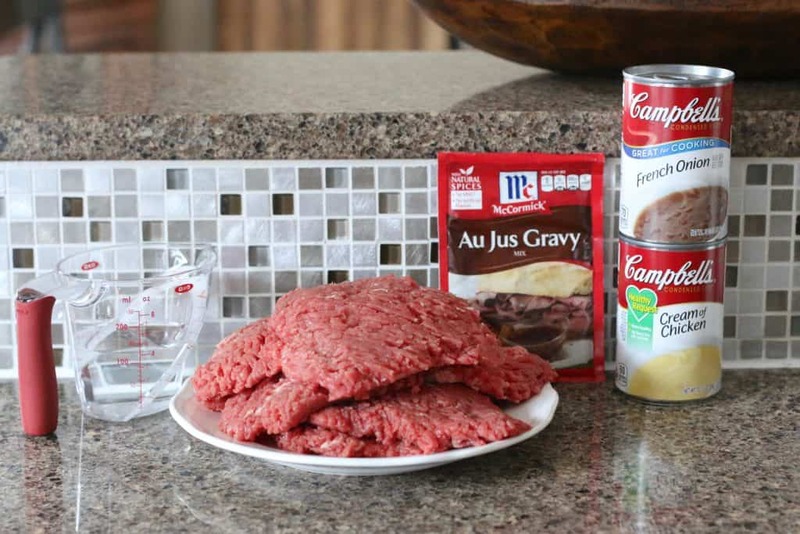 Perhaps I would just prefer to make my own gravy. I’m surprised so many liked it this much. 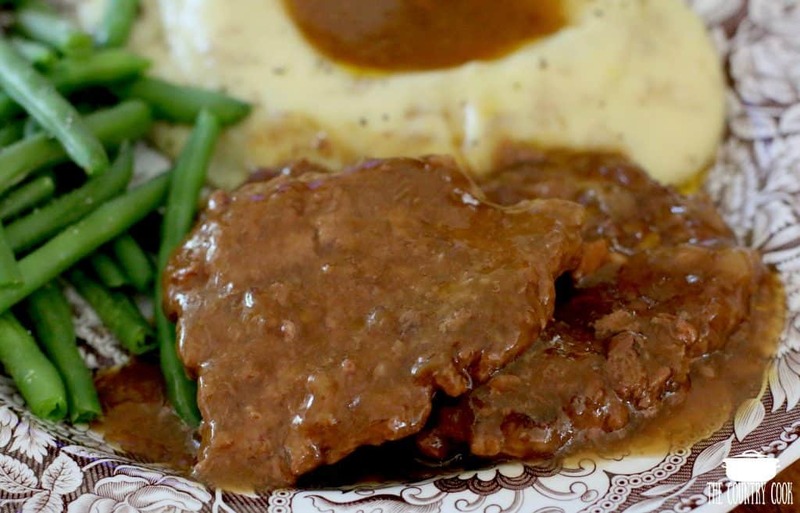 Thank you for such a delicious meal very easy to make you can use pork chops chicken and just about any kind of meat we used round steak run through the tenderizer three times that seems like to many times but it comes out perfect. Absolutely DELISH!!! Will definitely make this again!!! Hi! 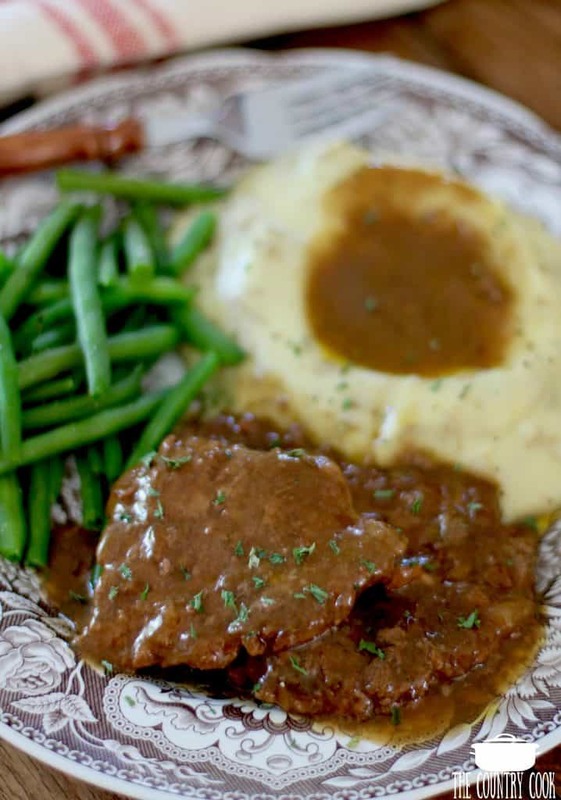 Planning to make this tomorrow for dinner. Can I swap out the ah jus gravy for brown gravy? That’s what I have already in my pantry. Thanks! 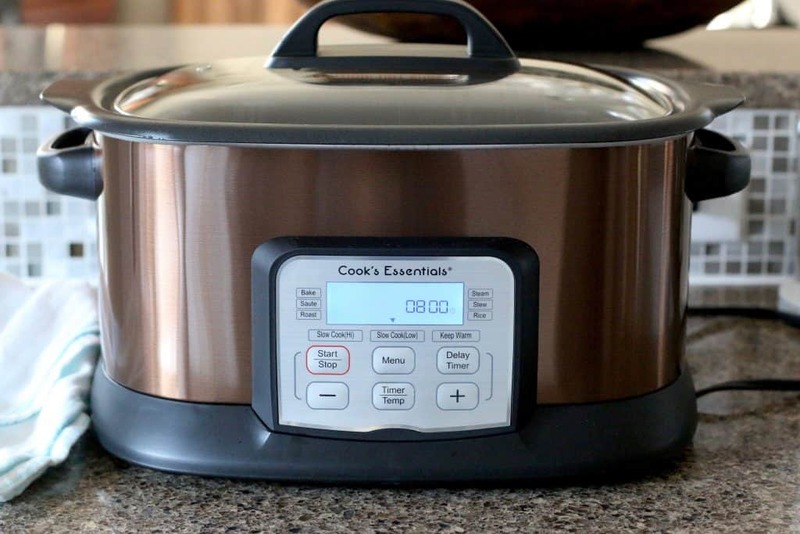 Please tell me what kind of crock pot is that??? I love the other settings it has. Btw, I make this about every other week. My husband won’t eat onion or mushrooms. What can I substitute for those or can I just user the cream of chicken and au jus? I put this in the crockpot before I left for work on low. Got home and the house smelled wonderful. Gave it a taste and it was a bit salty so I cut up a potato and threw it in to soak up some salt. Worked like a charm. The meat was fall apart tender. I subbed cream of chicken for the french onion soup because of “no onion” eaters, and the recipe still worked. Thanks for sharing! I made these today for the first time and they are SO good! 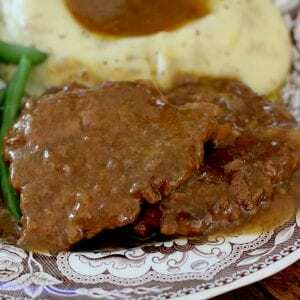 I’ve made your recipe for hamburger steaks and gravy meany times, and it has become my husband’s favorite meal, but these are easier, less mess, and fewer steps. That suits me to a tee! Do you just layer the pieces on top of each other bc I had 6 pieces for the 2 lbs? Don’t want them to stick!